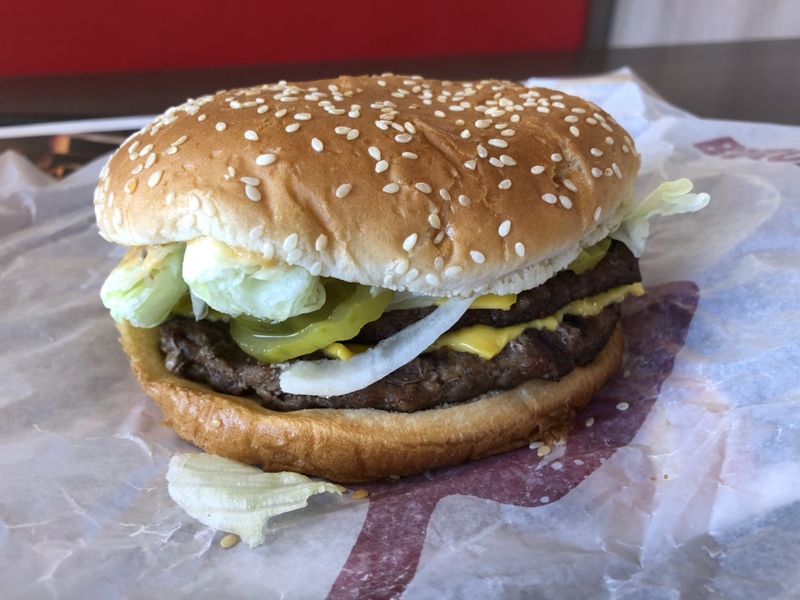 Review: Burger King’s Big King XL takes aim at the Big Mac – Wichita By E.B. Burger King has never been one to shy away from taking aim at a competitor. Their latest shot was at McDonald’s and the uber-popular Big Mac. Burger King unveiled the Big King XL which features two of their signature flame-grilled Whopper beef patties coming in at a little over a 1/2 lb before cooking. Included is pickles, American cheese, sliced onion, lettuce, a special savory sauce on a toasted sesame seed bun. The burger cost $5.29 by itself or $7.79 for the meal deal. 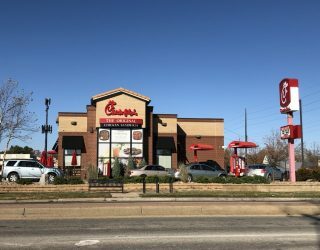 I tried this out along with Wichita By E.B.’s dedicated fast food beat reporter, Damon. His favorite fast food burger is the Whopper. He noted the Big King XL had the same flavor offered by the signature flame broiled Whopper. We agreed that the special Stacker sauce was similar to the Big Mac sauce but not overwhelming like the amount of sauce provided in the Big Mac. 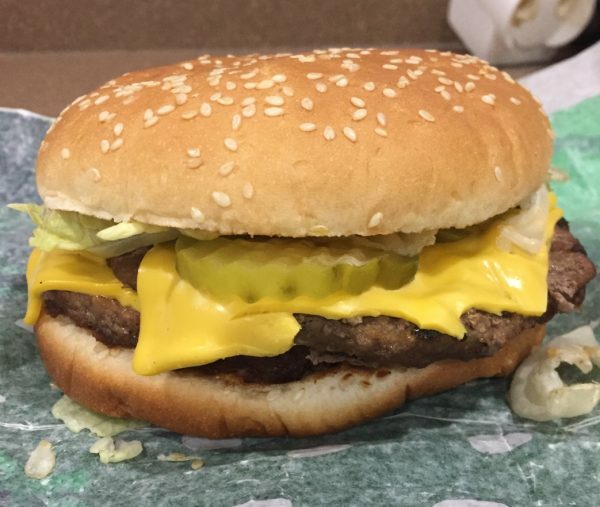 At times, you couldn’t tell there was a sauce in the Big King XL as it was so light. 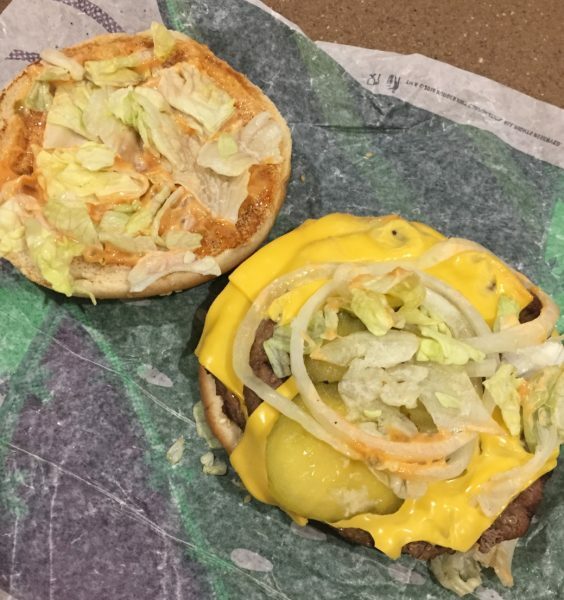 The new burger was essentially a Whopper where the mayonnaise was exchanged with their special Stacker sauce. 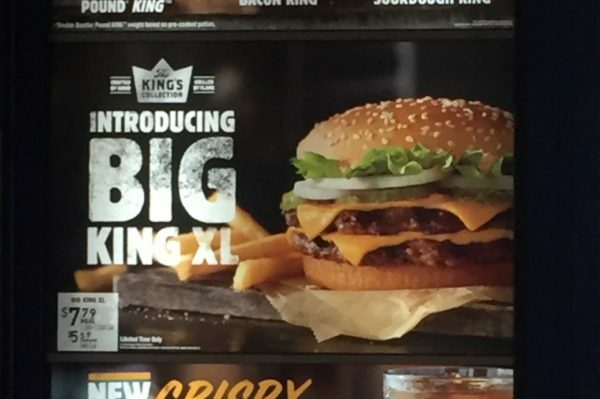 All things considered, Burger King’s Big King XL was a very worthy fast food burger. Damon ranked it Whopper, Big King XL and Big Mac in that order while I had the Whopper ranked first with the Big King XL and Big Mac tied. At $7.29 though for the meal price, it’s certainly on the higher end and not the value people usually expect from a national fast food chain.